AFAC (French Arabian Horse Racing Association) has communicated the list of women who will represente France to HH Sheikha Fatima Darley Awards which will be held on 3 April 2016 at the Dolby Theater of Hollywood in California. Renée-Laure Koch has bred numerous Purebred Arabians that have been successful all over the world. The 2015 season was particularly memorable thanks to an outstanding four-year-old filly: Sylvine Al Maury ((Munjiz x Savavit Al Maury by Dormane), a winner of four races and once a runner-up in five starts of Group PA races. -No Risk Al Maury (Kesberoy x Nectarine Al Maury by Baroud III), winner of 15 races and 7-times placed in 22 starts. Dual winner of the Group 1PA The Shadwell Dubai International Stakes at Newbury, dual winner of the Group 1PA Al Maktoum Challenge Round 1, winner of the Group 1PA Al Maktoum Challenge Round 3, winner of the Group 2 PA Abu Dhabi Harwood International Arabian Racing Stakes at Newmarket, winner of the Group 2 PA Hawthorn Hill Arabian Racing Stakes at Newbury, the Group 2PA The Doha International Stakes at Lingfield and the Group 2 PA Georgina Ward Arabian Racing Stakes at Newbury. Renée-Laure is also an accomplished endurance rider. 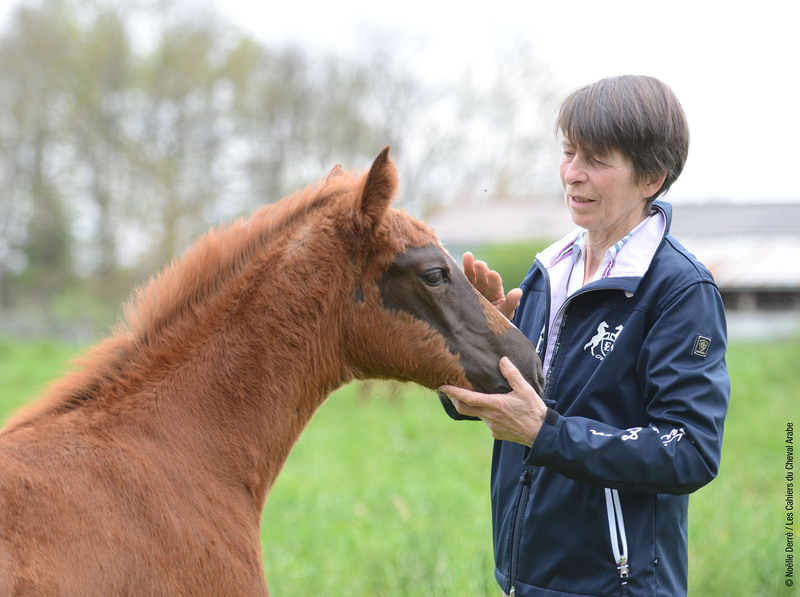 After thirty years of training at her husband’s side, Elisabeth took over the yard in May 2015 following Jean-François’ death. There are about 65 horses at the yard in La Teste, in the South West of France, which the couple lovingly extended to its current capacity. Looking after 65 horses is a full-time job, but Elisabeth found the time to study for the compulsory trainer’s exam, which she successfully completed at the end of December 2015. During this difficult time of sorrow and administrative nightmare that comes with the succession, she succeeded not only to keep the yard running, but to claim the position of runner-up in the Purebred Arabian horses trainer’s table in France for the 2015 season. Amongst the champions she trains are some well known individuals like: Sir Bani Yas (Amer x Nassem El Baher by Elios de Carrere), winner of the 2015 Group 1 PA Qatar International Stakes at Goodwood and 3rd placed in the Group 1 PA Qatar Arabian World Cup at Longchamp. Loraa (Mawood x Aleefa by Kesberoy) winner of the Group 1 PA Criterium des pouliches at La Teste, runner-up of the Group 1 PA Dubai Duty Free Hatta International Stakes at Newbury and of the Group 1 PA Qatar Prix Dragon at Longchamp. 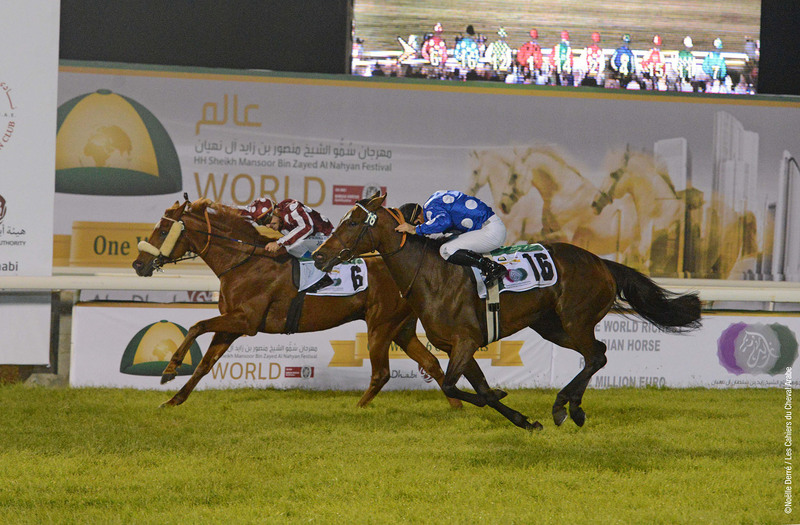 Farh (Nizam x Fifth by Tidjani) winner of the Group 2 PA French Arabian Breeders’ Challenge Classic. 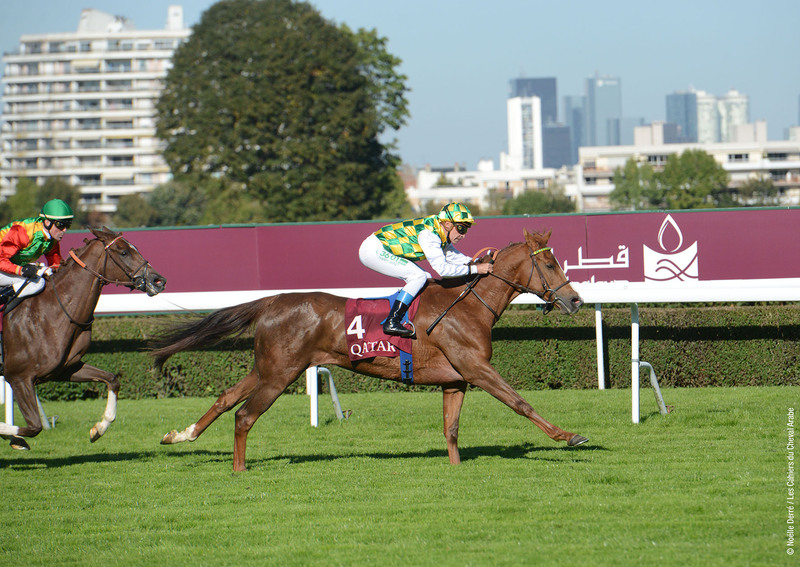 Sylvine Al Maury (Munjiz x Savavit Al Maury by Dormane), winner of the Group 2 PA Qatar Prix de l’Elevage at Toulouse, of Group 3 PA Prix Dormane and Prix Nevadour at La Teste and of the Group 1 PA Qatar Arabian Trophy des Juments at Longchamp. In 2015, Isis won eight races and was placed 26 times in 65 races, in which she rode 38 different horses. Amongst her most memorable victories is the Prix Fleur d’Avril – HH Sheikha Fatima bint Mubarak Apprentice World Championship, which she lifted on 11 October 2015 at Tarbes (France) with the four-year-old Purebred Arabian gelding Burj Al Arab (Burning Sand x Min Isheq by Chaikh Man). 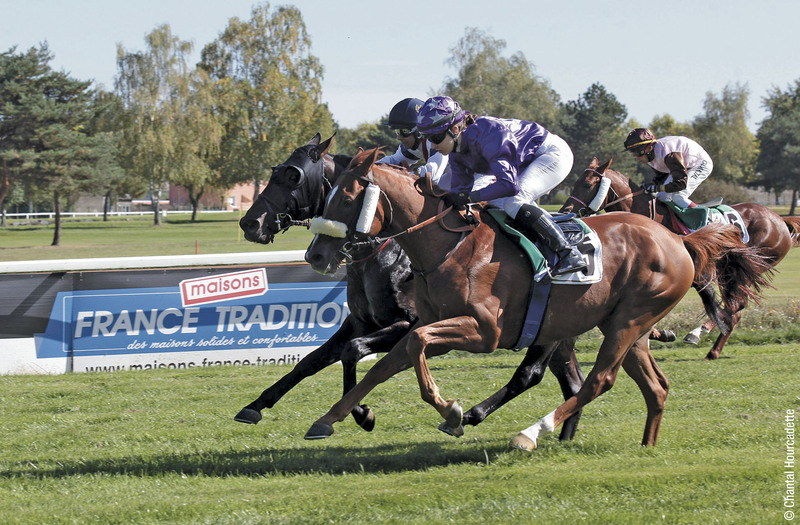 In 2015 her mounts earned prize-money in excess of 118 600 Euros. Last November, Isis finished third in the Abu Dhabi final of HH Sheikha Fatima bint Mubarak Apprentice World Championship. 24-year-old Justine is a keen amateur rider and a professional stone engraver. She has been riding as an amateur since she was 16 and is mainly seen in the saddle of her father Thierry Mercier’s horses. She won the Casablanca leg of the HH Sheikha Fatima bint Mubarak Ladies World Championship with the six-year-old mare Yakout Al Boraq (Gitpen x Guelza by Hosni). 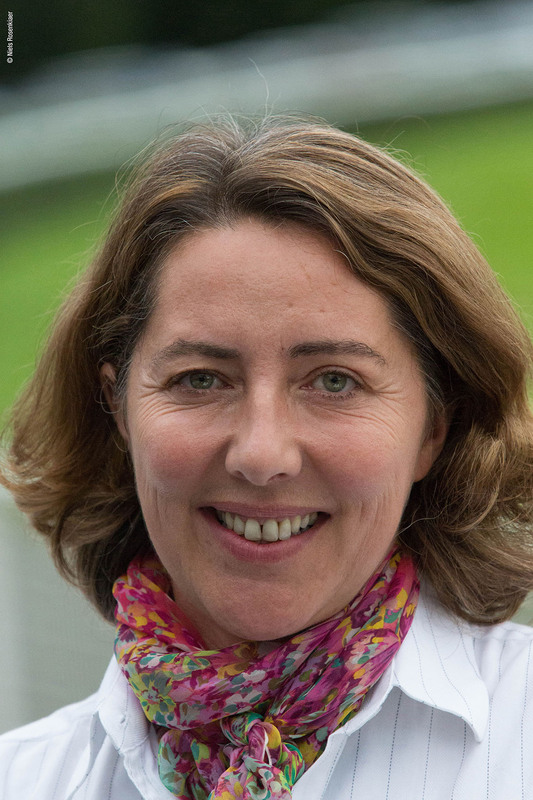 Founder and co-owner of the French equine magazine « Les Cahiers du Cheval Arabe », which was created in 2002, Noëlle Derré prefers to be known as a photo-reporter, rather than a photographer. A photo captures a moment in life, an emotion. A racing photo, like any sports photo, allows for time to stand still, to bring to life a moment, which is not always seen through the naked eye. Those moments that whisk by so quickly are full of energy. They clearly show in great detail the effort a horse and its rider is making, the complicity of the two, the joy of winning a race. Each racecourse, each race, they all bring new emotions to the front of the photographer’s lense. 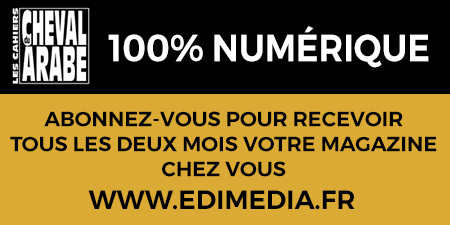 Through Edimedia and in partnership with the AFAC ( the French Arabian Horseracing Association), Noëlle Derré also publishes since ten years the French Arabian Annual Review and the Purebred Arabian racehorses Stallion Book in France. 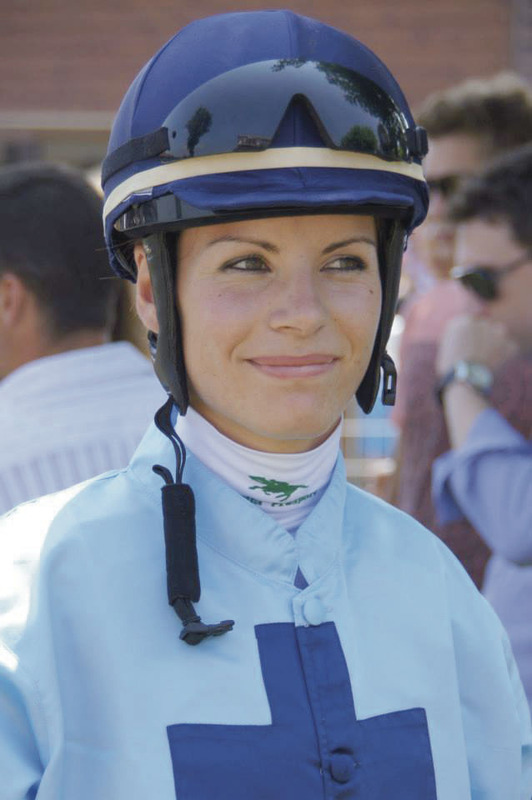 Véronique made her name in racing by becoming a valuable team member of prestigious Thoroughbred Stud Farms, such as Dalham Hall Stud in Newmarket, the Haras du Quesnay and the Haras du Mézeray in France, as well as the likes of Mill Ridge Farm and Hartwell Farm in Kentucky. In 1998 she joined the Shadwell Estate Company Ltd, where she was in charge of the administration of the Purebred Arabian racehorses for HH Sheikh Hamdan Al Maktoum. When in 2011 the desire to return to her native France became too strong, she joined the AFAC (French Arabian Horse Racing Association) as a Director. Véronique dedicated her life to racing. 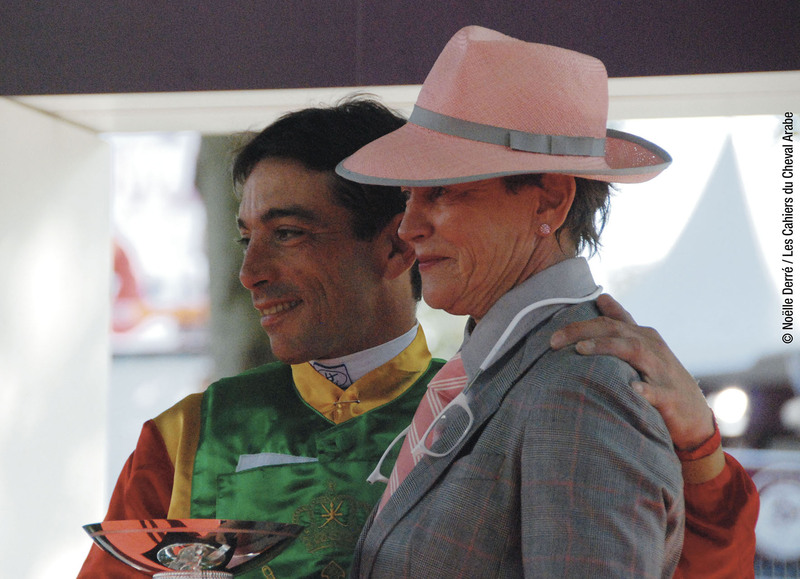 Her invaluable experience in the Purebred Arabian horse racing industry, as well as her international background were precious assets for the French Arabian Horse Racing Association, as well as the worldwide organizations involved in Arabian horseracing. 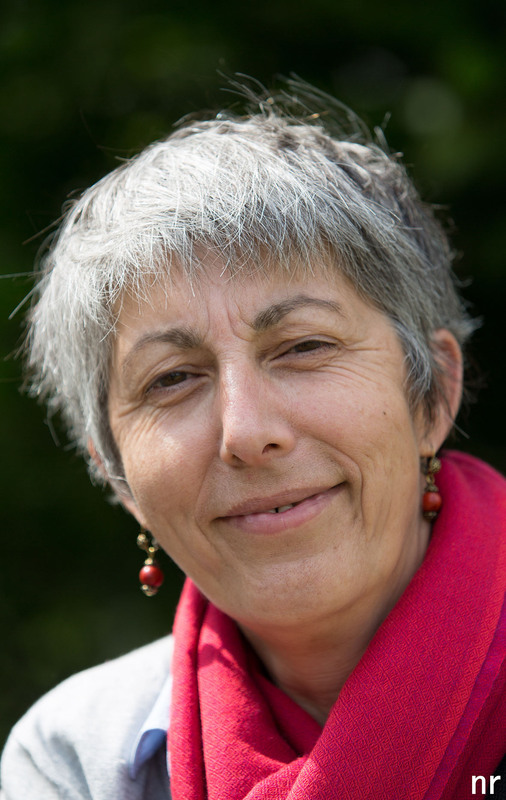 Sadly, Véronique passed away suddenly in June 2015. 5 victories and a third place in 6 starts. Bred in Normandy by HH Sheikh Mansoor bin Zayed Al Nahyan, Mabrooka accomplishments in her first season on a racecourse are impressive, as she won five times and was placed third once for six starts. She won the Prix Djelfor at La Teste on her debut by two lengths and then went on to win the Prix Ourour at Toulouse when faced with an opposition composed of five colts. She successfully made the leap to Group 1 PA glory when she won the Qatar Coupe de France des Chevaux Arabes at Chantilly by three lengths, before Muraaqib. Following a little lapse in Deauville where she only finished third in the Group 1 PA Al Rayyan Cup-Prix Kesberoy, she once more claimed the podium in the final major events of the French season, the Group 1 PA Qatar Arabian Trophy des pouliches de 3 ans at Saint-Cloud and the Group 2 PA French Arabian Breeders’ Challenge des pouliches de 3 ans at Toulouse. Mabrooka is trained by Didier Guillemin and is owned by HH Sheikh Mansoor bin Zayed Al Nahyan. Four victories and once runner-up in five starts. Sylvine Al Maury was bred in the South West of France by Renée-Laure Koch. 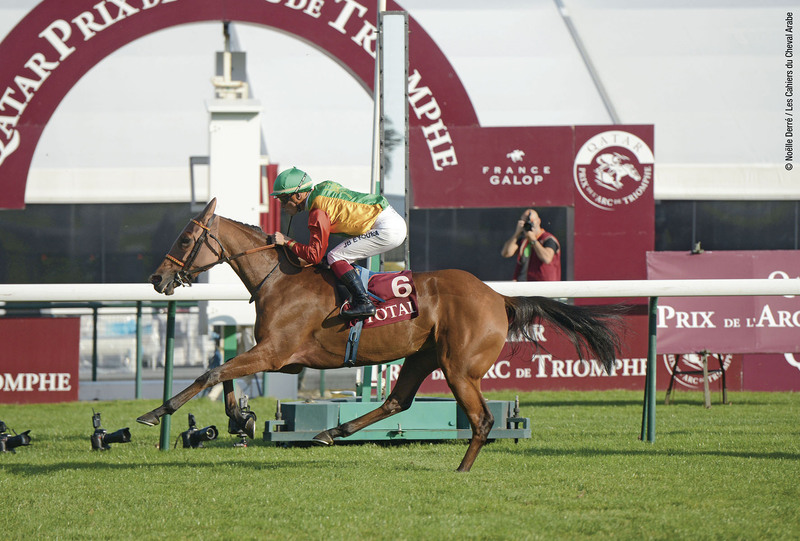 She was promising right from the start, when as a three-year-old she was the runner-up in the Group 1 PA Qatar Arabian Trophy des Pouliches de 3 ans at Saint-Cloud and when she won the Group 2 PA French Arabian Breeders’ Challenge des pouliches de 3 ans at Toulouse. As a four-year-old, she started the season with a victory in the group 2 PA Qatar Prix de l’Elevage at Toulouse, which was followed with a second place in the Group 2 PA Qatar Derby des Pur-sang arabes de 4 ans at Chantilly. She then lifted two Group 3 PA races at La Teste: The Prix Dormane where she closed successfully on Al Mouwaffak (N°2 in the world rankings) and the Prix Nevadour, which she lifted by 4 lengths. She concluded the season by winning the most prestigious event for four-year-old fillies, the Group 1 PA Qatar Arabian Trophy des Juments at Longchamp. Sylvine Al Maury is owned by the Royal Cavalry of Oman and is trained by Elisabeth Bernard. Two victories and 3 places in 6 starts. Bred by Jean-Marc de Watrigant in the Landes (south-west of France), Sahabba is trained by Damien de Watrigant and carries the silks of Earl de Beguerie (from the de Watrigant family). In 2015, she won the Group 3 PA Sheikh Zayed bin Sultan Al Nahyan Cup in Ostende and the Prix Jean Laborde at Bordeaux, but she mainly made the headlines when she was the runner-up in the hard fought over Group 1 PA Sheikh Zayed bin Sultan Al Nahyan Jewel Crown, the richest Purebred Arabian race in the world that was run in November 2015 at Abu Dhabi.